Numoni Pte Ltd, based in Singapore, has launched its very first bitcoin ATM machine in Malaysia. It is a great initiative propelling the digital currency forward regardless of how governments are struggling to regulate the coin. Through this project, the company hopes to see an increase in the digital currency users in the country. Currently, there are around 1,000 to 2,000 bitcoin users in Malaysia. 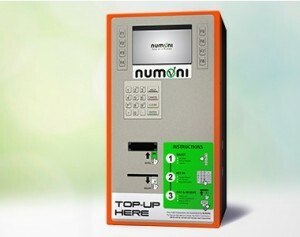 Numoni Pte Ltd is a payment transaction provider and its goal is to spread the bitcoin ATM machines throughout the country. The goal is to reach about launching ten ATM machines within a year and about a hundred within three years. Currently there are two other bitcoin ATM machines in Malaysia, one at the Bangsar Shopping Center in Kuala Lumpur and the other in Gurney Plaza in Penang. Bitcoin is not acknowledged by the Malaysian central bank as a legal tender. Even though the bank does not have any say in the workings of the bitcoin market, it has still issued warning to users to be cautious while dealing with the digital currency. “It is a voucher, not a currency. We will abide by the guidelines and follow the rules set by the regulators in the country,” said Norma Sit, CEO of Numoni. The Numoni bitcoin ATM machines can be used to buy and sell bitcoins through a cash-out process partnering with retails dealers’ cash out point system. But, Numoni is not using this system of cash out for Singapore and Malaysia. The ATM machine was launched on March 21st. Each ATM machine costs about $4,000 to Numoni. With the recent demise of Tokyo based bitcoin exchange, Mt. Gox, this is indeed refreshing news. The digital currency received a lot of negative attention due to the events surrounding the Mt. Gox fiasco. However, advancement and the spread of the digital currency is an ongoing effort. Very good page, Continue the beneficial job. Great Info. Just what I was searching for 🙂 Nice job. So this is the only learning platform where you able to increase your knowledge about Bing browser history without any charges.Thank you so much.